First, as a means for communication with the public at large, the EGN now offers an attractive and up-to-date website in English, French, German, Italian and Greek which showcases all the geoparks, their activities, facilities and the EGN’s structures and philosophy. A common presentation series of leaflets has also been produced within the goals for the INTERREG IIIC program. These attractive leaflets bordered in green and brown include standard EGN information on the interior. Various questions are addressed such as: What is the EGN? Who are they for? Is it only about rocks? What would I expect to see in various geoparks? Do you know what has been happening beneath our feet inEurope? 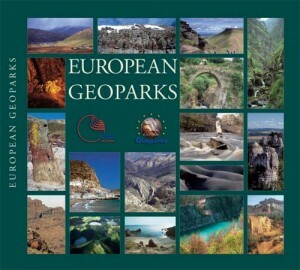 On the exterior of the leaflet, each geopark provides information about its territory and promotes its facilities and programs in an attractive layout with photos. The E.G. Corner strengthens the bonds between members of the Network and contributes to the promotion of the Network and its ideas. Informative leaflets and products from all member territories are placed in these information corners. Thus, visitors are familiarized with the European Geoparks Network and its members and sensitised on environmental and geotouristic issues. In the construction of the E.G. 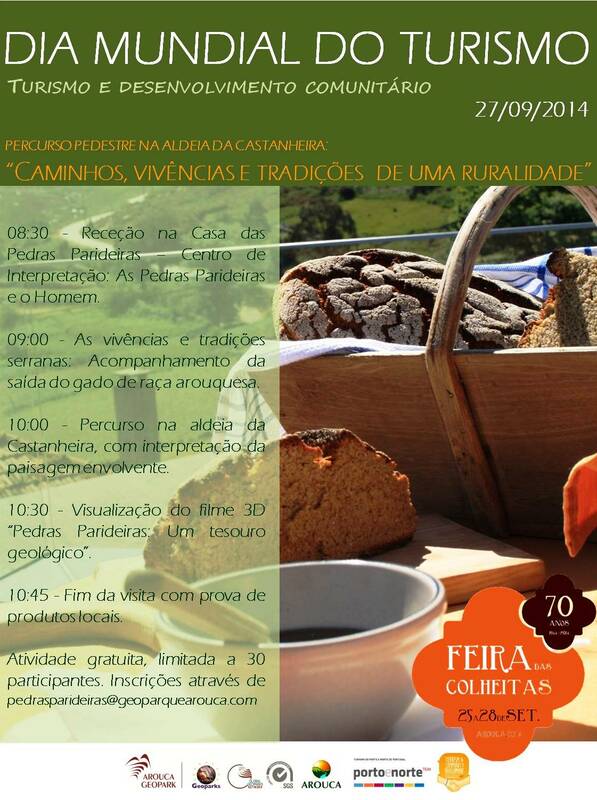 Corner, each geopark concentrates on the special characteristics of its visitors. 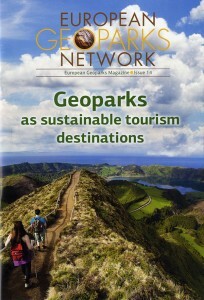 In particular, the main objectives (the image improvement of each geopark and the promotion of services offered) remain while each geopark creates a unique information point according to the interests of the main tourist body and also in regards to environmental features such as nature, geomorphology and clime. Besides the magazine and the leaflet series, Network members have been busy with many other publications. The North Pennines Geopark has put together enticing leaflets for its four cycling routes. 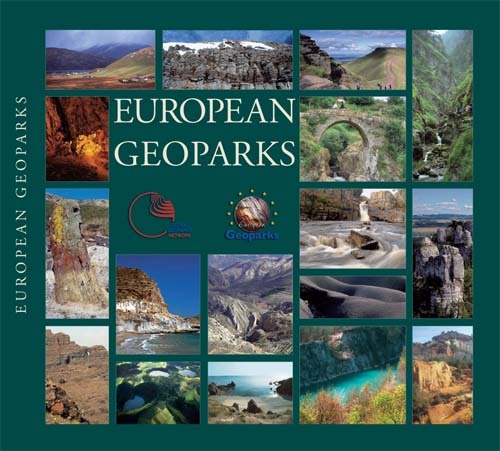 Other leaflets bearing the UNESCO Geopark logo include Geopark Harz-Braunschweiger Land-Ostfalen as well as Beigua Geopark which details park activities, maps and involvements with the EGN. The Madonie Cultural Park’s attractive fold–out leaflet titled “Stone and Water” sets out 3 walking routes for Geopark visitors. SEKOIA is the magazine of the Lesvos Petrified Forest Geopark. It is published twice a year including all information about the exhibitions and events in the Lesvos Geopark (click here to view or download the last issue). Vulkaneifel Magazin is the annual magazine of the Vulkaneifel Geopark.